Erins After Dinner Hamper with White Wine, Mint Chocolates, Dessert Sauce, Biscuits, Coffee, Chutney, Crackers & Cheese. 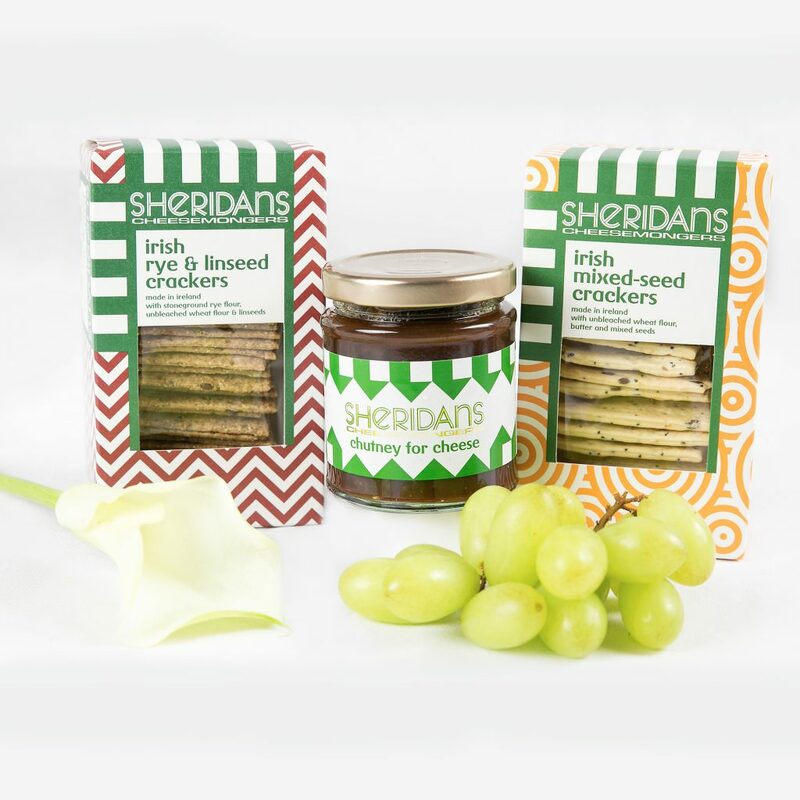 Erin’s choice of after dinner delights will bring a smile to the faces of any diner. 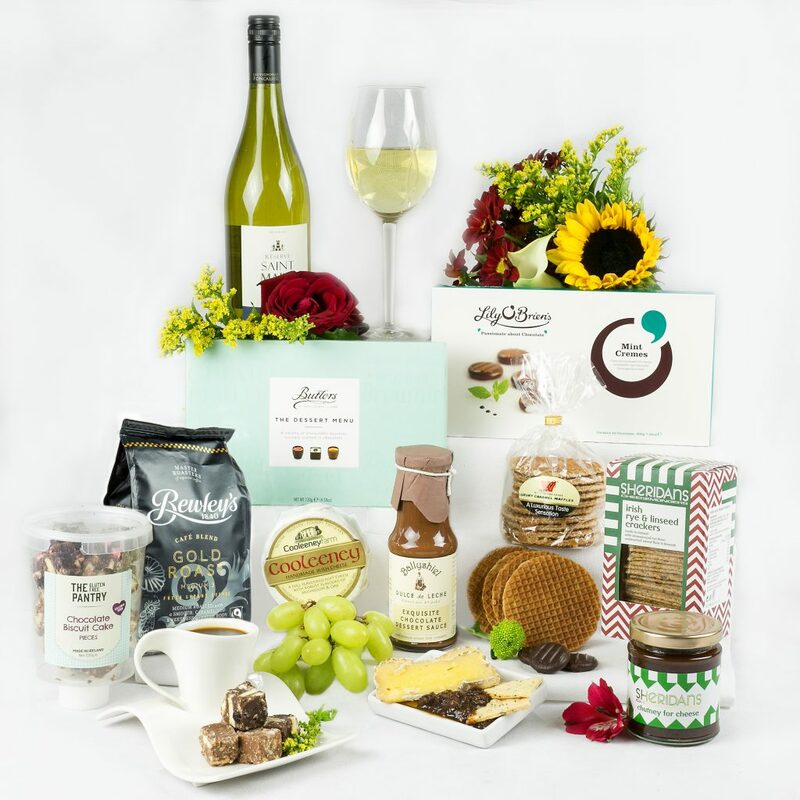 This hamper contains a wonderful array of sweet and savoury fine Irish foods and a delicious French white wine that will round off any evening perfectly. 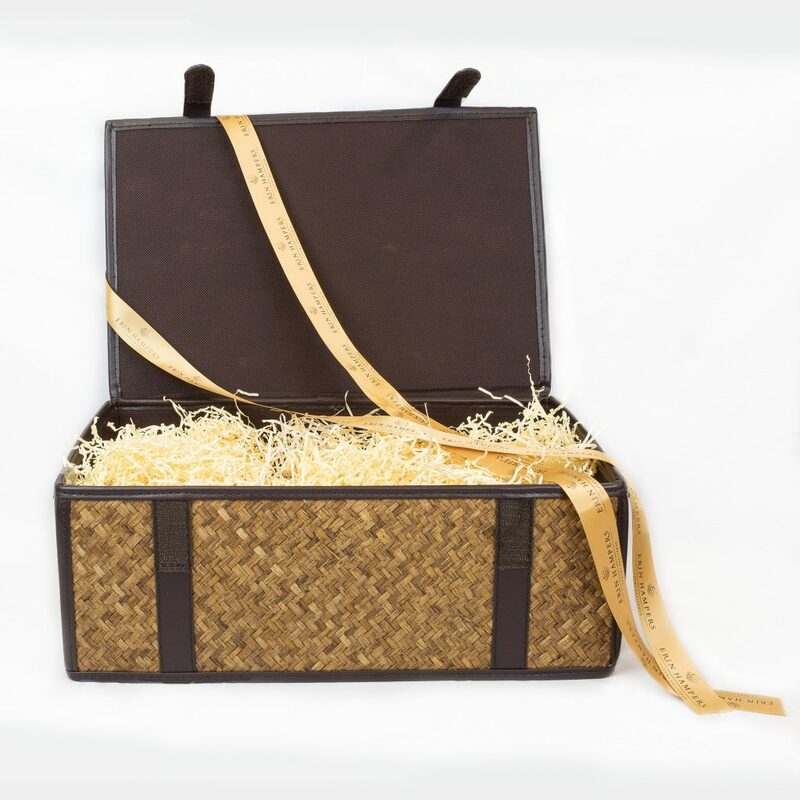 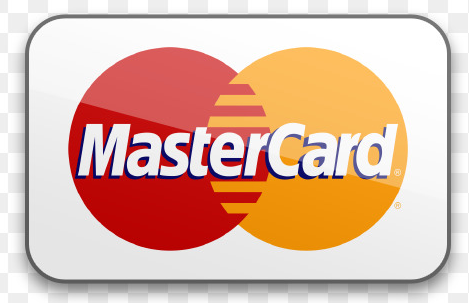 It’s a lovely gift that will be sure to impress friends, family or work colleagues so they in turn can impress theirs. 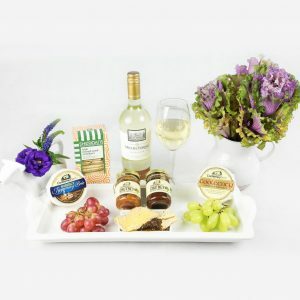 Erin’s after dinner hamper contains a choice of after dinner delights will bring a smile to the face of any diner. 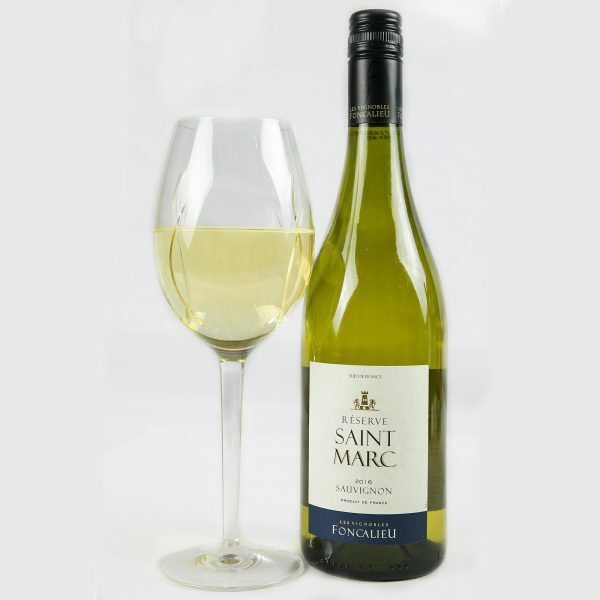 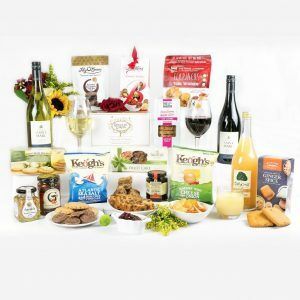 This after dinner hamper contains a wonderful array of sweet and savoury fine Irish foods and a delicious French white wine that will round off any evening perfectly. 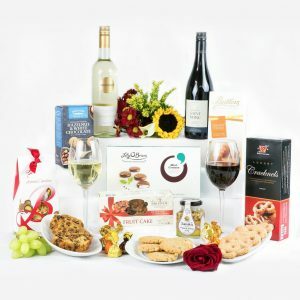 It’s a lovely gift that will be sure to impress friends, family or work colleagues so they in turn can impress theirs. 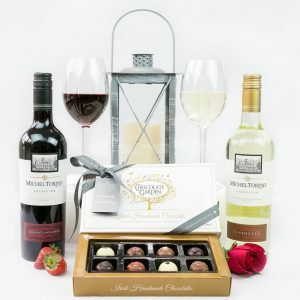 Erins Classic Wine Duo And Irish Chocolate Box With Red and White Wine & Irish Handmade Chocolates.